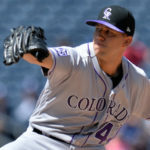 The Colorado Rockies defeated the Arizona Diamondbacks Thursday afternoon, 5-1. 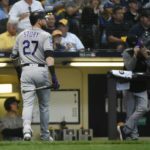 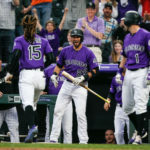 The win clinched a series victory for the Rockies against the National League West rivals and bumped their record to 48-45 on the season. 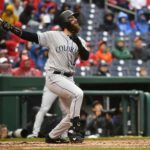 Three takeaways from the Rockies' series against the Washington Nationals. 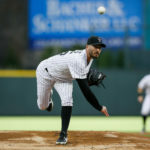 Tyler Anderson rebounded from a rocky first start with six-plus innings of shutout baseball, while rookie Joey Lucchesi matched Anderson nearly pitch for pitch. 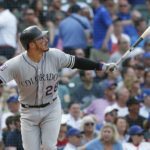 The Rockies’ hitting has been AWOL to begin the postseason. 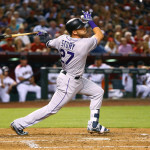 On Opening Day, catcher Chris Iannetta and shortstop Trevor Story share their fond -- but very different -- memories of playing in Arizona.